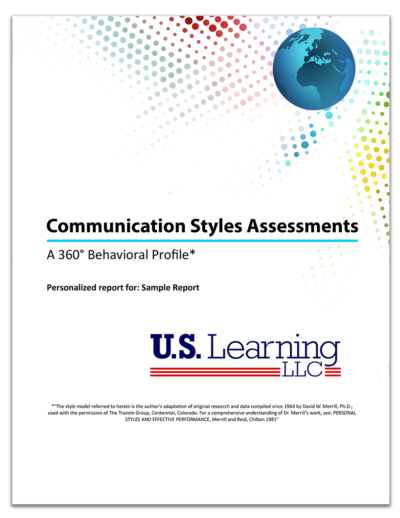 Human beings can be complex characters – driven by their primary needs, who is influencing them, and what motivates each emotion and behavior they display. 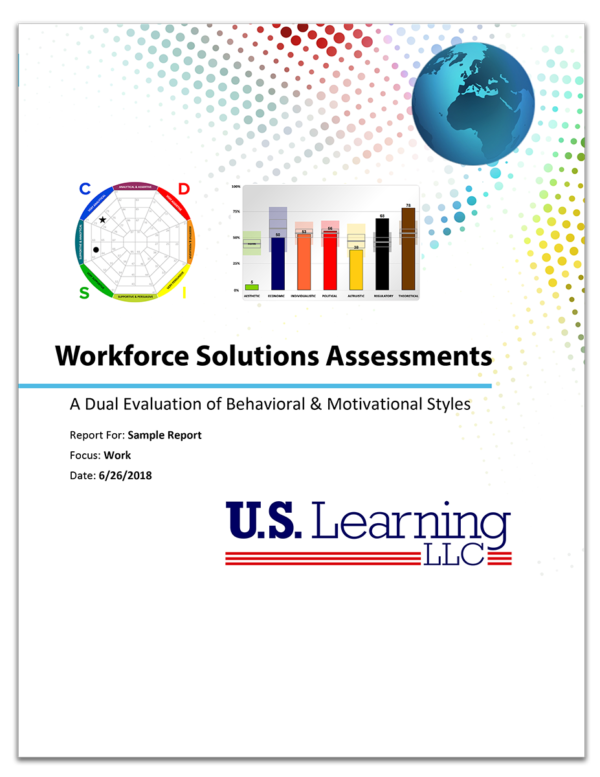 With our Workforce Solutions Assessment, you can not only apply what you have learned about your needs (via DISC), but you can also align your work in ways that reflect what matters most to you (via Motivators). This combination report allows end users to maximize and/or eliminate tasks that may work for or against their value base. Imagine an organization capable of leveraging the very best from each employee via a keen understanding of how to harness each employee’s inherent needs and values! This online Assessment is a result of the extensive research done by Dr. Eduard Spranger and Gordon Allport. These two researchers spent their professional lives discovering what drives and motivates all of us. These seven dimensions of values help us understand the driving force or the engine behind our passions and talents. The Asthetic Value – The underlying drive for balance, harmony, creativity, and form. The Economic Value – The underlying drive for economic and practical returns within the areas in which you are most vested. The Individualistic Value – The underlying drive to stand out as independent, unique, and outside of the box. The Political Value – The underlying drive to be in control of our destiny or have influence on others. The Altruistic Value – The underlying drive for humanitarian efforts and caregiving, or to help the underdog. The Regulatory Value – The underlying drive to establish order, routine, and structure – the black-and-white thinker. The Theoretical Value – The underlying drive for knowledge and learning, and uncovering and discovering the facts.